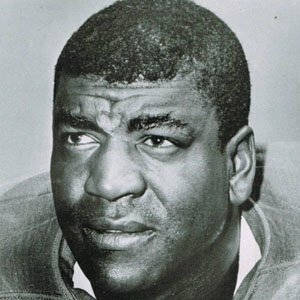 One of the best NFL cornerbacks of the 1950s and 60s, nicknamed the Night Train. He spent his career with the Los Angeles Rams, Chicago Cardinals and Detroit Lions and was selected to 7 Pro Bowls. He set an NFL record for the most single-season interceptions during his rookie season in 1952. His prestigious career earned him a place in the Pro Football Hall of Fame and the NFL 75th Anniversary All-Time Team. He was married three times, one marriage being to singer Dinah Washington with whom he had three sons: Richard, Richard, and Larry. He and Rod Woodson were one of four cornerbacks selected to the NFL 75th Anniversary All-Time Team.